Giving your brand a great first impression is no easy feat, but having smart and inventive signs can definitely help! 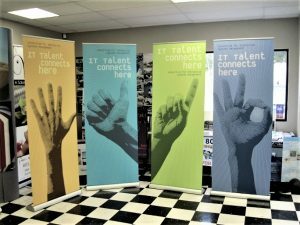 Retractable banners or pull-up banner stands are a perfect example for this. Durable, portable, and affordable, retractable banners make it easier for you to bring your brand with you wherever you go and show your target market the excellent products and services that you can offer them. Saber Sign Solutions is an established local signage provider that specializes in producing high-quality retractable signs for businesses that want to catch its audience’s attention and effectively advertise its brand. Over the many years Saber Sign Solutions has catered to various businesses in the area, we’ve learned that an effective retractable sign calls for strategic layout and design, superior banner substrate, meticulous craftsmanship, and excellent customer support. We’re excited to cater to your business as well. A retractable banner exudes a sense of professionalism and composure. With its base made of high-quality aluminum, retractable banners have a clean and modern look while set up and even when stored. The banner is also made from high-grade polyester fabric or vibrant vinyl, giving your sign its stunning, not to mention eye-catching, appeal. But the pull-up display isn’t just all aesthetics. It’s a staple in trade shows and corporate events because it is easy to ship, set up, move around, and store. In an environment as competitive and crowded as a tradeshow, you will need to bring along advertising tools that are both effective and convenient…and retractable banners are exactly that. So whether you are going to trade shows, product launches, charity events, or other corporate affairs, a retractable banner is an excellent promotional tool to bring along. And when you order from Saber Sign Solutions, you can have a sturdy carrying case to boot. Many people think that retractable signs are only used when you’re traveling to another place…but they’re actually more versatile than you think! Pull-up signs make really great indoor signs. They take up minimal space when stored and even when set up. They are very portable, which means you are free to place them in the most strategic area for maximum impact. Because they are among the more temporary types of signs, they’re best for seasonal promotions, announcements of new products or services, and general information. 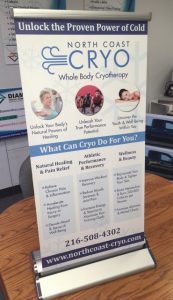 Retractable banners by Saber Sign Solutions are also perfect for giving your customers a positive brand experience because they help give your facility a look that’s consistent with your business identity. Of course, in order for this to happen, the design must be carefully considered, selected, and executed. Saber Sign Solutions’s team of experienced graphic artists help make sure that your design not only looks good, but is actually effective and positively contributes to the customers’ brand experience. Not a lot of people go old school when it comes to presentations and meetings, but sometimes going old school can be the most impressive thing you can do. By using pull-up displays as visual aid, you exude preparedness, confidence, and attention to detail. 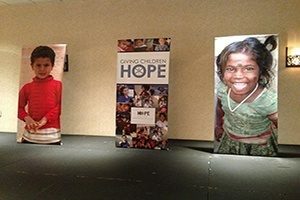 On the practical side, using retractable banners are a great way to avoid presentation mishaps like computer malfunction, network issues, broken clickers, etc. By having your information neatly, clearly, and conveniently placed on a banner as you do your presentation, you can put all your focus on what you’re saying and avoid unnecessary distractions for you and for your audience. You might think that purchasing a pull-up sign for your presentation is a waste of money if you can’t use afterward. Well, that’s true! This is why Saber Sign Solutions also offers replacement banners for retractable signs. 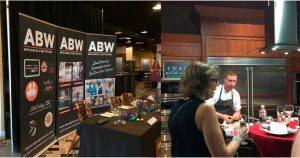 Because you’ll already have the base and stand, you can just get a new banner printed for your next presentation or event and you’re all set! Saber Sign Solutions has been in the sign industry long enough to know that great service isn’t just about delivering what the clients want…it’s also about being there for them when they need you. This is why we make sure that we assist and guide all of our clients from start to finish. If you have a banner design ready, that’s great! Our wide-format printers can make your stunning design come to life. If you don’t have a design yet, that’s not a problem at all. Our team of graphic designers and sign specialists are ready to help you in every step of the sign-making process…from consultation, to design, to printing, to deliver, and even until maintenance. You’re probably wondering what else a retractable banner can do for you. We’d be more than happy to tell you how retractable signs can be helpful in any business. If you’re interested in knowing how pull-up signs can boost your business and how Saber Sign Solutions can help, just give us a ring. Call Saber Sign Solutions today at (512) 861-2699 for your Free Consultation with a Banner Expert!